In the large scope of music, we are continually in search of the next big thing, and with such a large portion of popular culture honing in on the current dance movement, which can be independently created, there is constantly an excess of new material to be explored. While there are only a small amount of artists that dominate the majority of music's market share, remixing their work can be an instantaneous push into the spotlight. With an obvious desire for both remixes and dance music, it is no wonder that most of the scene is constantly flooded with a mix of the two. This is not to say that dance-focused remixes aren't credible, as there is a time and a place for everything, but when someone sets out on the ambitious journey to change the way remixes are created… well, we'll get to that. While remixes date back to the dancehall scene in Jamaica in the late 1960s/early 1970s, the trend remained unnoticed by the mainstream market until recently. Since this popularization, remixes have made such a vast impact on our society that even the Grammys were forced to add an award for Best Remixed Recording back in 1998. To think that there was a time when remixes were incapable of existing is almost an absurdity at this point. Relating both the hype behind remixing and the dance scene brings us to the question: Do all remixes take on a dance-inspired feel? It is apparent in this day and age that the answer is no, as songs can be reworked into any number of ways in expressing the remixers creativity. However, had you asked this question at the turn of the millennium, or even five years later, then the answer wouldn't have been as clear-cut. To whom do we owe this newly exposed technique? To forward-minded individuals such as Andre Anjos, who has produced around 200 remixes that have played a big part in shaping the way we now listen to music. Think of the traditional remix falling under an umbrella, it is what is unsheathed that warrants attention from influential music enthusiasts. While Andre hasn't always been exposed, he has maintained a passion for producing music in his own individualistic way. 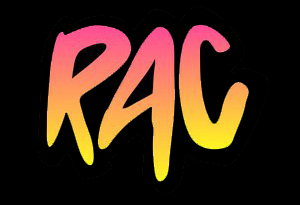 Cue the Remix Artist Collective, concisely known as RAC, which began as Andre's solo project to expose a new dimension to the art of remixing, focusing on the indie market. André Allen Anjos was born and raised in Portugal, and when prompted with the opportunity to take his musical ability to the United States while also working towards a college degree, he took advantage of his opening. This is not to say that he didn't attempt to maintain a music career in Portugal before he left–after high school he took two years to explore the musical landscape of his native country. However, this was a time when musical distribution was ruled by the major labels, as the internet wasn't nearly as accessible. To quote Andre in an interview with Portugal's Golden Scissors from earlier this year, "Well, we didn't really have BandCamp back then. We didn't have SoundCloud. It cost a lot of money to host things. It was just a different time–not very musician friendly." So, after consulting with his friends, he left Portugal for his own version of an American dream. Things have gone pretty well for Andre thus far in the States, where he has produced remixes for big names including Death Cab For Cutie, Phoenix, Foster the People, and The Temper Trap while also juggling original productions, music for HBO's Entourage and a marriage. Not to mention that the top five RAC remixes on HypeM have gained over eighty-thousand likes. The proceeding interview outlines Andre and his group in the midst of yet another transition, as they are focused on the release of a forthcoming debut album of original material. EARMILK: You are constantly releasing music. How do you find the time to create so many different songs, between touring, living life, and wrapping up your debut album? RAC: Well, (laughs) I think I sort have figured out a method just for myself. I know myself, I know my limits in terms of how long I can work on something. I started kind of getting into this rhythm in working on music that I can do things pretty quickly and that's why it has just been so much music–even more lately. I only work a couple hours a day, I just kind of know how to put myself in a creative mood and if things are going well you can do a remix in a day, which allows me to keep a steady pace. EM: Within the last few weeks especially, it seems like you have come out with a song, maybe two, every week. How long does it usually take you to create your remixes? RAC: It really depends, some of them can take four or five days, some of them can take one day, you know. It actually has a lot to do with length, length is almost more of a factor than an actual song. If it is a five-minute remix it generally takes me a little longer because you may have to create more elements, but if a song is two, two and a half, three minutes it is pretty quick because you don't need to do a whole lot of time-consuming things. And even though these things seem like they come out twice a week, just recently I did a remix for Steel Train and that one I had done like two years ago. It was only out on vinyl and they wanted to give it a digital push since it didn't really matter anymore I guess. I did another one for Yacht, which I had done a couple of months ago. Literally three remixes last week, just a little bit insane, but the Phoenix one I had done that week, so that was the only one I had really done recently. I think that kind of shows that the past five remixes are all from very different times, so their sounds were kind of wildly different. EM: Is there any one remix that took an excessively long time to create? RAC: Well, I just did a remix for Bob Marley for this remix project that the Marley family is doing and I think I just put a lot of pressure on myself. Just because it is for "Could You Be Loved?" which is one of his biggest songs, and just the fact that you're remixing Bob Marley, I was kind of driving myself insane. So, that one took me like two to three weeks, or so. It's not out yet, but it is finished, I guess. EM: Exited to hear that, sounds like it will be great. EM:Well, since you are speaking of Bob Marley, is there any one artist current, or even from the past that you would like to/have wanted to have worked with? RAC: I came close twice, well I thought I was close (laughs), to remixing LCD Soundsystem and that would have been amazing. I have gotten to work with a lot of DFA stuff, so that kind of makes up for it. There are a lot of people that I would love to work with. I have already done over 200 remixes, so I don't really see a point in stopping. Hot Chip is another band that I haven't worked with yet that I would love to work with. EM: Have your musical tastes changed since you have become so involved with music over the years? RAC: Yeah, we only started DJing three years ago, or so, and before that I wasn't terribly into dance music at all. People kept on saying that my remixes were dancy and I didn't understand it. I didn't know why, or know what they were talking about. It wasn't an interest of mine. It was something that after we started DJing and playing the remixes and mixing it with other stuff that I started gaining an appreciation for it. It was really when I understood the context of dance music. I mean even now I am not really a club guy, aside from when I'm playing. That is probably the biggest change since RAC started, but I just kind of go with whatever I am feeling at the time. It is hard to put that into words. We are talking about six years of my life and I have gown up a lot and discovered new things in new directions. I don't think it's any specific genre, but it changes over time. EM: I've heard that you are into video games, do you have an alias that you go by? RAC: I just go by Dre, (Laughs) not that exiting, sorry, but I do play quite a bit of video games. Even kind of going back to what we were talking about earlier about doing things quickly and staying sharp and creative; I actually kind of use video games quite a bit for that. It is not like I purposely set out to "Oh, I'm going to play video games for two hours today" but for example if I am working on a song and I get stuck on a part that is not going anywhere I'll just stop and play Call of Duty, or whatever. I kind of turn my brain of for an hour and come back to it and most of the time I have a fresh idea, or I have a new direction that I can try, so I kind of really like video games for that aspect of it; turning off the creative juices and just having some fun. EM: Do you have a favorite song that you have personally remixed? RAC: It's hard to say, it is like picking a favorite child or something. I think a lot of them mean different things at different times. I say this a lot, but I really go back to the very first one that I did for The Shins. It just happened to be The Shins, it could have been any other band. It was my first remix, my first break into the music industry and it kickstarted the whole thing, so I feel pretty close to that song just for that. Not really musically because it was the first one that I did; there would be so many things that I would change in it now. Along the same lines there are a few other ones that represented shifts, or musical breakthroughs on a personal level–I discovered a new production technique that changed my approach to remixing in general after it. For example, the Edward Sharp "Home" remix is one where I figured out a lot of things in terms of songwriting and what I can do with a remix, so that one is pretty special. EM: Is there any remix that stands out that you haven't been apart of the creative process for? RAC: Yeah, actually, kind of where I got the conceptual idea for RAC was this Japanese guy called Cornelius. I don't think he has done anything since 2006, or 2005 with remixes, but he put out these albums CM 1, and CM 2. He is remixing Sting and Moby and he is doing it in such an interesting way. They're not dance remixes at all, they are just really quiet acoustic-styled glitchy weird things that he put together. That kind of opened my eyes to realize that a remix doesn't have to be a dance remix, you can do anything really. It is kind of like rewriting the song, or changing the production in it, so early on that was a big one. More recently, I'm a little of biased because he is a friend of mine, but Goldroom has been doing a lot of really cool stuff. Even just today Oliver put up a great version of Blondie, which I immediate threw in our DJ folder. I also really respect the Classixx guys. They never do what I expect them to do with a remix. Even sometimes I think it is an odd choice then I go back to it a week later and I'm like "Alright I get this now, this is awesome." Yeah, and the French Express guys take these 90's R&B acapella and make them their own. I mean they aren't technically remixes I guess, but I feel like it is kind of a similar process. Those kind of come to mind. EM: What can we expect with the full live show that you had previously mentioned is slated for later this year? RAC: Well right now, it is looking more towards the fall because the album is probably going to come out in the fall as well. It's actually really exiting; I grew up playing in bands, that's my background, and even though we have been DJing and it's awesome and fun, I sort of felt this, it sounds cheesy, but burning desire to play an instrument live. I started talking about it with a bunch of friends and we have a band together and we are sort of developing a visual show as well. It's kind of a big project and it's still ongoing. I am not really sure what it is going to look like right now, but it will definitely be a full band and we are going to be playing the album stuff and a bunch of remixes live, so I'm really exited for it. That's literally all that I am working on right now. I just need to figure out how to pull it of. If there are unfamiliarites with Andre's work, explore a diverse catalog of his material below. Great interview! RAC consistently puts out the best remixes and "Hollywood" was one of the catchiest songs of last year. Looking forward to the tour and more originals.